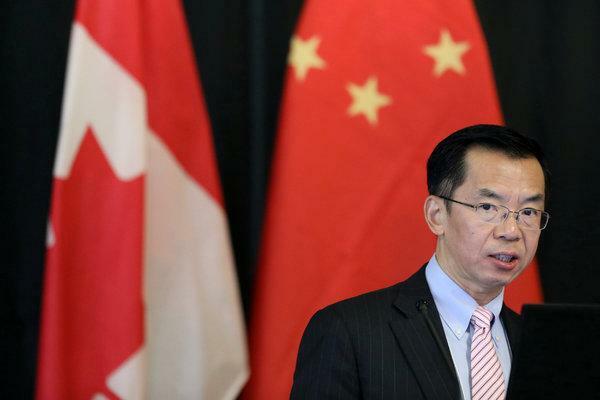 The Canadian Embassy in Beijing had no immediate comment on Thursday. Ms. Meng’s arrest, which was carried out at the request of the United States, set off a fury in China, where many view it as an attack on Huawei for political purposes. Ms. Meng, meanwhile, has been released on bail by a Canadian court, and is living under surveillance in one of her homes in Vancouver, British Columbia. Canadian legal authorities will decide whether she should be extradited to the United States; Beijing has called for her immediate release. The ambassador also said that people in the West had applied double standards in their treatment of Huawei itself. Canadians, he wrote, had “conveniently ignored” revelations about global surveillance activities by the United States and its allies. Previous PostPrevious Meanwhile: What Goes Into a $4,500 Pair of Handmade Boots?